Rhino Ridge Safari Lodge never disappoints. We’ve had the privilege of being able to visit this lodge on a number of previous occasions and it still remains one of our favourite game lodges to visit. The staff are fantastic and make you feel special from the minute you arrive. The receptions areas in the lodge offer the most amazing views over the Hluhluwe-iMfolozi Game Park in KwaZulu Natal. The rooms are spacious and very comfortable offering breathtaking views from their elevated position within the Reserve. King-sized beds are draped in mosquito nets and both the bedroom and the bathroom have doors which open up onto a private deck. Complete privacy is ensured through wooden screens. 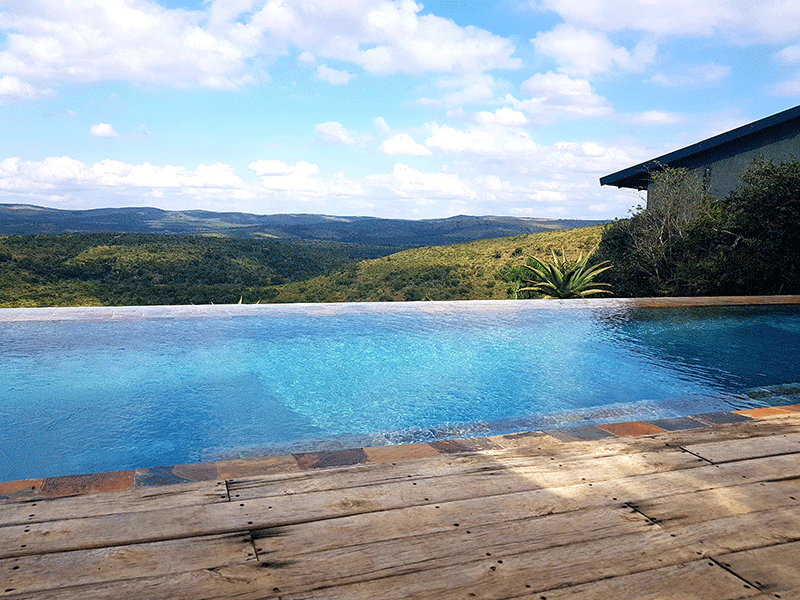 An average day at Rhino Ridge encompasses early morning game drives under the excellent guidance of qualified game rangers, followed by a sumptuous breakfast and time to relax by the pool or indulge in one of their signature spa treatments. High-tea is served just before you depart on your afternoon game drive which is followed by a wonderful, three-course dinner. For the adventurous and an absolute “must-do” activity swap one of the game drives for a game walk ( does cost additional ). You won’t be disappointed. There is no better way to enjoy the African bush than on foot. Summary "Still one of the best........"